Innovation in the Legionella Testing Industry - Water Management Society Annual Conference. We had the pleasure to listen to some great speakers and presentations about innovation in the water industry at the Annual Water Management Society (WMS) conference in Tamworth couple of weeks ago. The water market is undergoing major changes, with a huge variety of innovation, and Legionella testing is a key part of that. 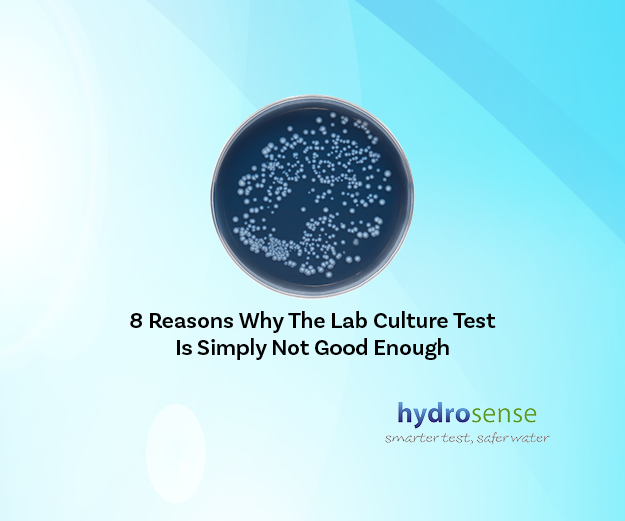 Conventional lab culture methods, which take up to two weeks to provide results, and which ignore some forms of Legionella bacteria, are losing their status as the “gold standard”. 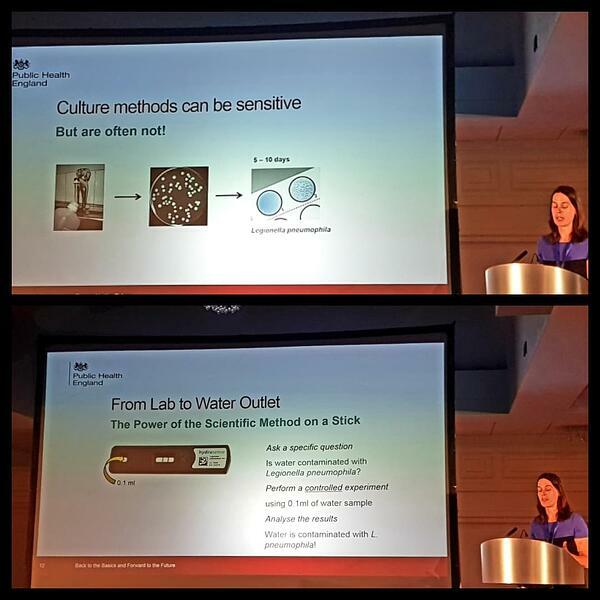 Although they are likely to remain a core part of water risk management programs for regulatory reasons, it now seems clear that lab culture methods should not be used in isolation. We heard examples of multiple companies that were conducting the lab culture method but who nonetheless had a Legionella outbreak which resulted in the companies being fined hundreds of thousands of pounds for their negligence. It is becoming clear that doing the bare minimum is not enough to protect a business’s reputation and peoples’ lives. We all know that companies must have a comprehensive Risk Assessment and up to date Water Safety Plan in place to ensure that all water systems are kept under control. Unfortunately, in reality, this is often not the case. In fact, the findings from the HSE "programme of interventions for controlling Legionella risks in workplaces" which was run during 2013/14 showed that 14% of all inspected sites had no risk assessment at all and as many as 54% had an insufficient risk assessment in place which did not cover all risk factors. As a result of these deficiencies, it is impossible to support quick remedial action, should any issues have occurred. Although many companies do perform regular Legionella lab culture testing for compliance reasons, they often do not understand how or if they should act on the information they receive. Incorporating alternative testing methods that are easier to perform, can be quickly undertaken on-site, and can provide a clear call to action, could encourage duty holders to regularly check if the water system is managed properly and therefore ensure that all parameters stay under control. Overall, it is very encouraging that there is a clear shift in the industry. Industry professionals agree that current regulatory methodologies do not equip responsible persons with the tools and solutions they need to fully mitigate risks and that compliance frameworks must adopt new technologies to better counter Legionella threats. We are looking forward to the next conference and more discussions about innovation in the water industry. Which Sectors Use the Kits?